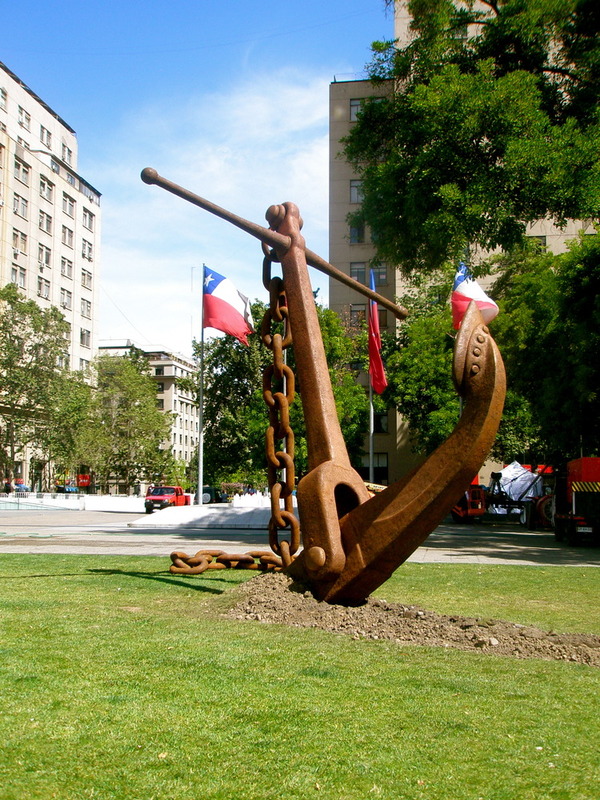 Anchor me, in the middle of…..Chile! I don’t know what this anchor is, but I like it. Plus, it serves as a suitable visual depiction as to how I feel in Santiago – pretty well grounded. A white wine with peach juice concoction – delicious! Oh, and how could I forget? CHILEAN WINE! Cool photo and sounds like an amazing time. Beer mixed with fanta appeals to the long lost teenager in me.Basil is great in cocktails, never had a basil mojito, but I have had a Bombay Bramble (Gin with muddled basil and blueberries). OoOh Basil Mojito – that sounds fantastic! I’m definitely going to try making one at home. Sounds like you’re already having an amazing time. I’m loving reading your posts!